A beautiful and cool image to convey your wednesday morning wishes to your loved ones. Reading a wonderful good morning message can stir up the enthusiasm and joy. 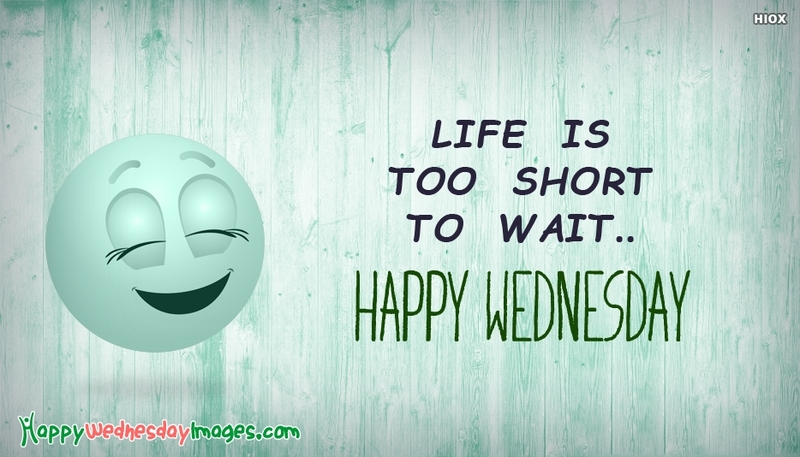 Share the same spirit of joy to your dear and near ones by sharing this happy wednesday egreeting image with the quote "Life is Too Short To Wait".